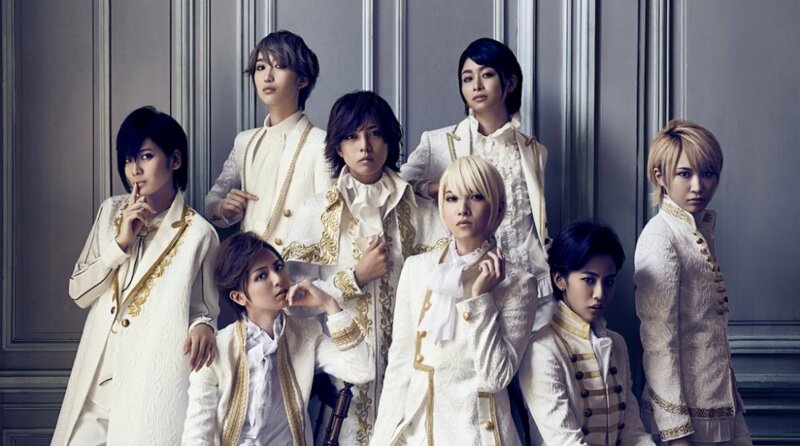 It has been announced that androgynous Japanese group THE HOPPERS will perform in London this year. The "eight girls dressed as beautiful boys" will attend HYPER JAPAN Christmas Market that will take place from November 25th to 27th at Tobacco Dock in London. The Jpop-group will perform on 26th as well as on 27th, so grab your ticket as long as it&apos;s still available! Androgynous outfits and stylings aren&apos;t rare in Japan. In the rock scene Visual Kei male musicians use make up and wear dresses on stage on a regular basis while female musicians often dress in clothes that give them a boy-ish touch. Also many asian pop-musicians use an androgynous style to break limits and borders. THE HOOPERS is doing the same since its formation in 2014 and gained more attention after its major debut in 2015. Are you planning to take part in this and celebrate member HARUKI&apos;s 22nd birthday together with her and the group on November 26th? Jewel no Kodou ga Kikoeru ka?